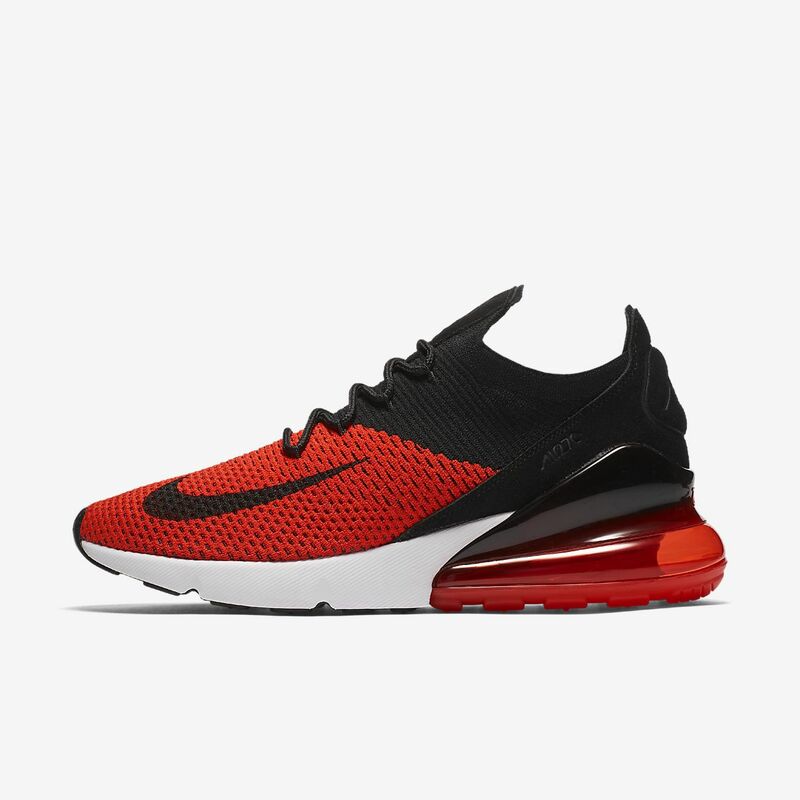 Feel the Air, both above and below, with the Nike Air Max 270 Flyknit Men&apos;s Shoe. It features Nike’s biggest heel Air unit yet, plus an ultra-breathable Flyknit upper that helps keep you cool when the temperatures rise. Classic color combinations nod to iconic Air Max models of the past, delivering a modern, streamlined look that&apos;s rooted in Nike sneaker heritage. I love the shoe! Perfect colors, especially for running at night! I only bought these as a casual shoe but, geez, is there no arch support. My ankles rolled in right away. After I really tightened them, they were a little better but I'm going to have to buy inserts or insoles. I imagine them being flyknit attributes to this, maybe the support is better in the regular versions. My first pair of 270s and I did like the cushioning. Cute but not as comfortable as my other 270. Rubs against my ankle.